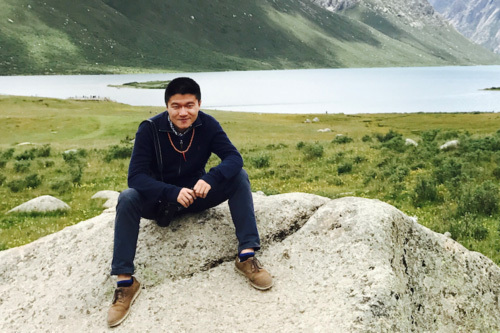 Gao Yufang, Ph.D. student in the combined program between the Department of Anthropology and School of Forestry & Environmental Studies, was recently awarded the “best presentation” prize for a talk he gave in the Anthropology and Environment Flash Presentation session during the 2018 Annual Meeting of the American Anthropological Association. In this talk, “From Conflict to Coexistence: A Paradigm Shift for Human­Wildlife Interaction?,” Gao shared his analysis of the discursive shift from “conflict” to “coexistence” in academic and public discussions about how people should live with their wildlife neighbors. This is part of his dissertation project about interspecies coexistence on the Tibetan Plateau. The award was given by the Anthropology and Environment Society.